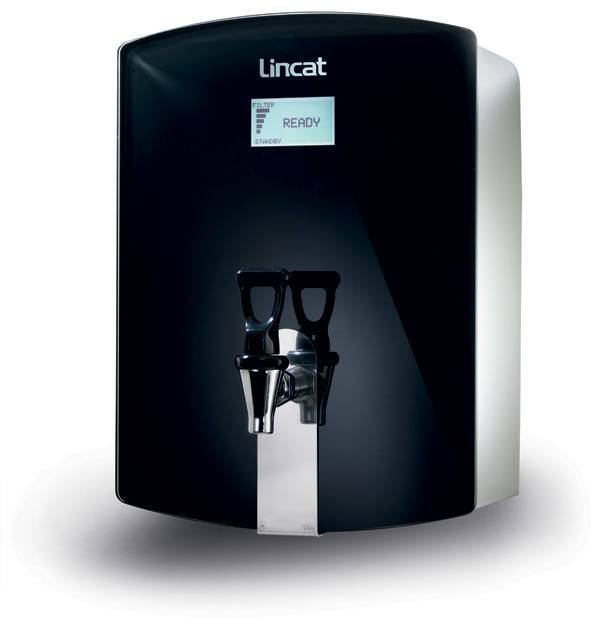 Lincat's stylish wall-mounted boilers deliver filtered hot water 24 hours a day. 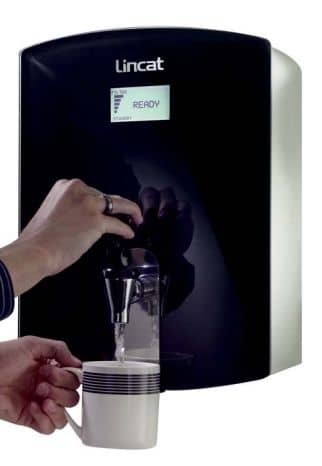 The compact design allows the boiler to be mounted over sink areas, making it ideal for catering establishments, office kitchens, staff rooms and any setting where space is at a premium. 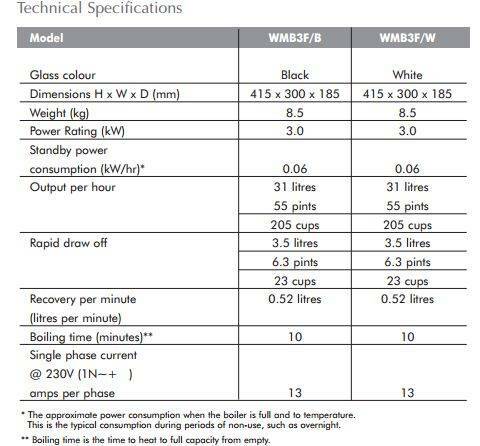 With a sleek black or white glass finish, it's also ideal for front-of-house use. FilterFlow wall-mounted boilers supply up to 31 litres of piping hot water every hour - perfect for busy kitchens and staff rooms. Better still, they won't thirst for energy - consuming just 60 watts per hour on stand-by thanks to effective insulation and a reliable electronic control system. So you can leave your boiler switched on at all times ensuring hot water is available just when you need it. The onboard diagnostic system keeps you informed of the boiler's status. The LCD display tells you when the boiler has reached the correct temperature, when the filter needs changing and when descaling or other maintenance is required. A water filter reduces scale build-up and removes impurities. Other boilers need a filter plumbed in as a separate unit, which is costly and unattractive. FilterFlow boilers incorporate the filter in the boiler casing - and they are as easy to replace as changing a light bulb.